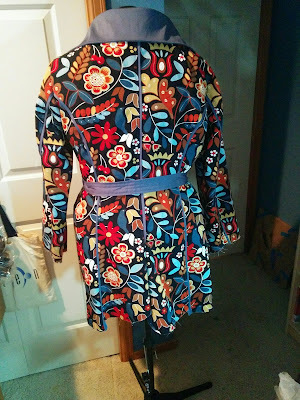 Clothing Hacker: Fabricista Fashion Challenge #2 finished product! When I read this week's challenge, I had mixed emotions. 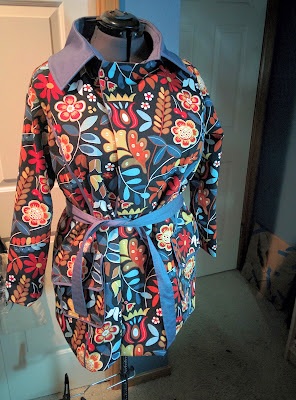 I was scared and worried because making a trench coat seemed like a massive amount of work in a very short amount of time. But I was also excited because at the beginning of the year I set a goal to make outerwear before the year was over, and this was going to force me into actually accomplishing that goal. 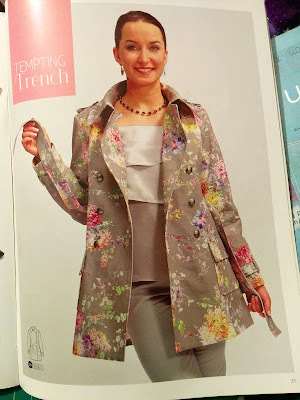 And I had already identified a trench coat from the 2/2014 issue of Ottobre Design magazine as one of my options. So it was destined to be this coat. 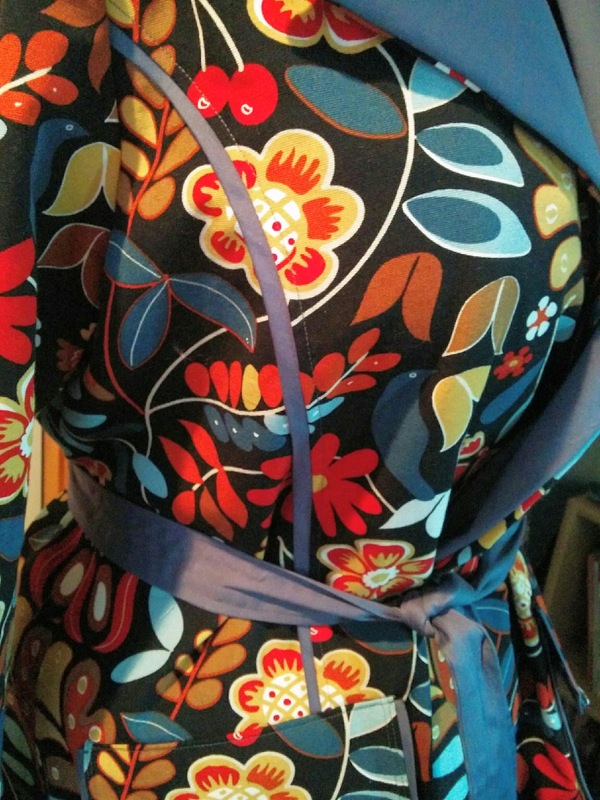 I had in my stash a lovely blue sateen fabric that I thought looked great with this print and helped tame the busy-ness of the print a bit and keeps in it check, so I used that for some contrast flat piping in the seams and as the collar and belt. 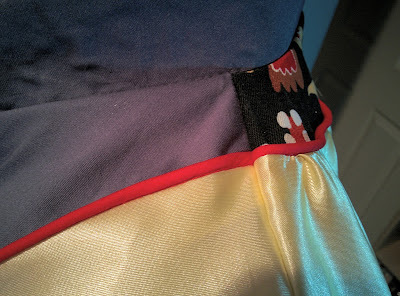 I really like how the pockets turned out. I didn't get a photo, but the pocket piece is lined with the same yellow satin that makes up the coat lining and I love how it feels on my hand when I put it in my pocket. Here are a couple photos on my dress form, the photo of the back was taken before I finished the hem -- I apparently didn't take any after of the back.. 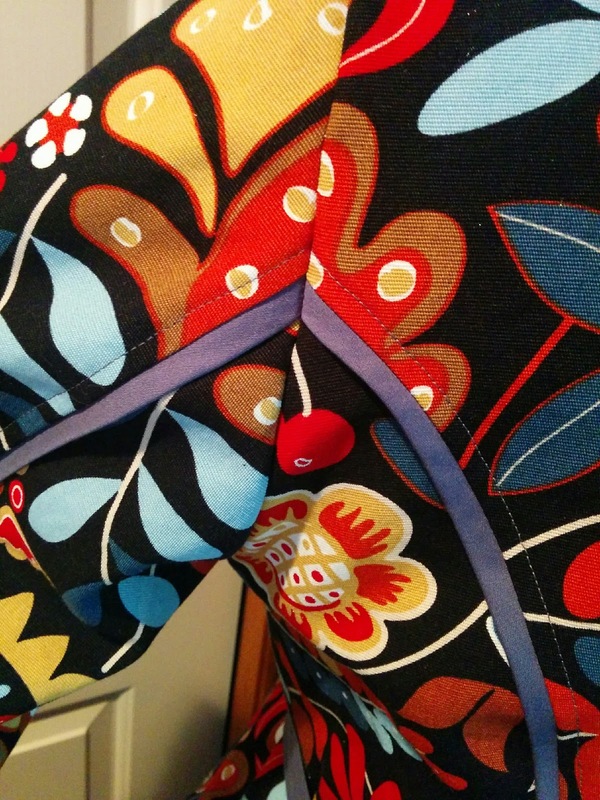 Some detailed shots of the flat piping on the outside. 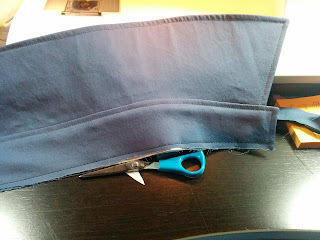 Getting the sleeve seams to match up perfectly took a few tries and it's a bit lost in the shuffle, but it makes me very happy. I'm a walking zombie from the lack of sleep I've had the last several days trying to get this sewn up. 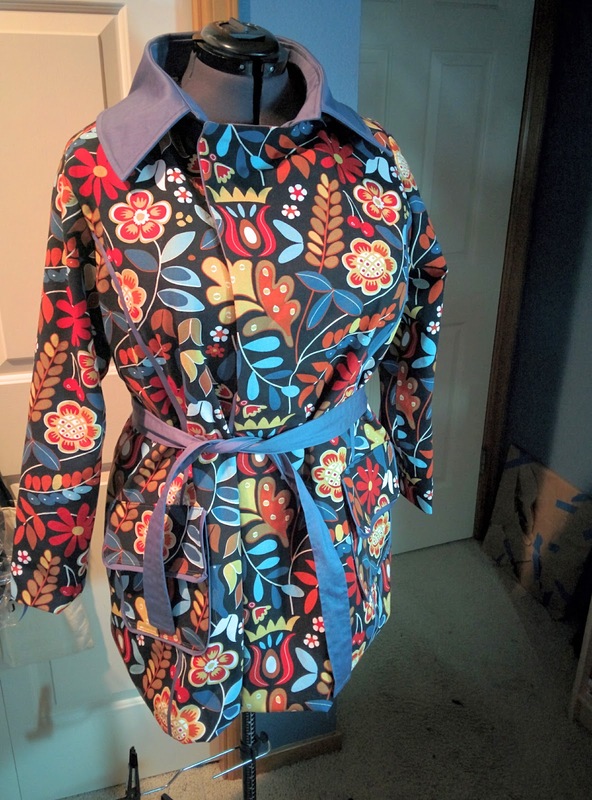 But this coat was a lot of firsts for me (including my very first collar! ), and Ottobre magazine isn't exactly known for their detailed instructions, so my seam ripper was my best friend on this project and I had to try some things several times before I got them right. 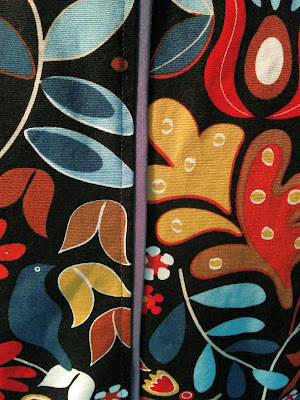 The finished projects are all up on the Fabric Mart blog, so go check them out and vote for your favorite. All of the other ladies made absolutely gorgeous coats with great details and workmanship. I'm very, very impressed with all of them because I ended up having to leave out a lot of the details I had hoped to add, like the epaulettes and the cuff straps, although I have those pieces cut and I hope to get them on when I get some time to revisit my coat. 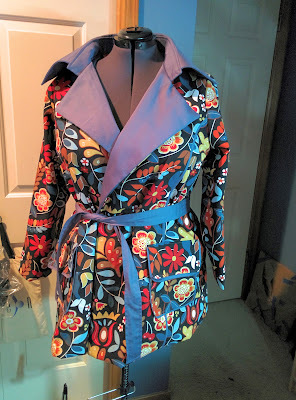 I also didn't add buttons because I had planned to make frog closures out of the blue fabric, and I probably still will. 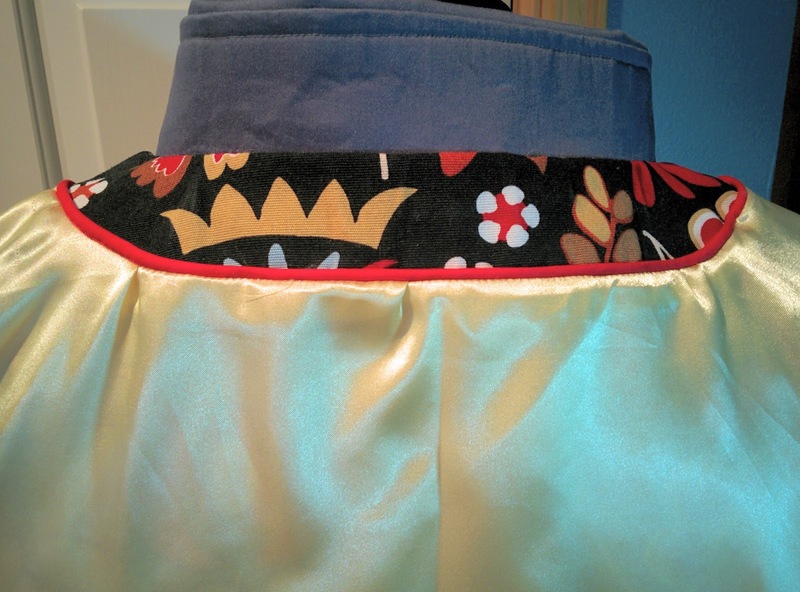 But I was pleasantly surprised at how well it worked just using the belt as a closure. I really like the blue, and I think you successfully made a trench coat that is your style! Thanks! All my friends agree that this coat is very "me." I knew I was taking a risk when I bought the fabric and before I cut it, I second (and third) guessed my choice. I even decided to not use it at one point while I was still fitting my muslin and go a completely other direction. But all the complexities getting the pattern to fit across my bust and figuring out the changes needed to be able to actually move my arms in the sleeves caused a huge time crunch and my other plan involved stenciling foil onto my coat, which I'd have to do a lot of experimentation with, so I decided to go back to the original plan. Just saw your coat Curvy Collectives- it's great. Looks like fun and seems you really made it well. I love your coat, saw it on Curvy Collectives. Beautifully finished and fun, fun, fun in a good way! !